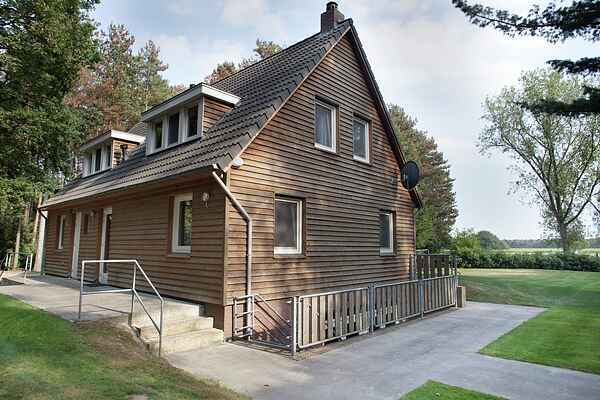 Amidst fields, woods and sand dunes, at the outer edge of the convivial Brabant village of Luyksgestel, you will find this group accommodation. The location is very suitable for a cosy family weekend or a reunion for example. In the region of Luyksgestel you can make lovely cycling and walking trips, through the woods and along the marshes. There are many facilities for golf, minigolf, canoeing, mountainbiking, but also a sub-tropical swimming pool and tennis courts. Near Luyksgestel you will see Eersel with its historical market square surrounded by terraces. Other information: Rent outdoor barbecue: charcoal 25,00 (incl. 5 kg charcoal) ; gas 20,00 (incl. gas bottle).